On some level, the Religious Right must know the way it behaves is shameful and immoral. How else does one account for the fact that many of its leaders go through contortions to hide their true intentions? 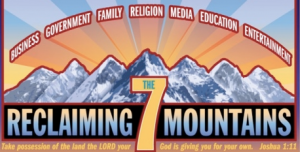 In John ny Enlow’s influential book, The Seven Mountain Prophesy, he calls on charismatic Christians to deceive non-believers and mainstream Christians about their desire to wrest control of society. On Sunday, The New York Times reported on a new Religious Right figure, David Lane, who is quietly organizing Pastor Policy Briefings in presidential battleground states. The invitations to his meetings come from Mike Huckabee, and presidential aspirants Newt Gingrich, Rep. Michele Bachmann (R-Minn.) and Gov. Haley Barbour (R-Miss.) have attended. It is hard to blame Lane for wanting to slither beneath the radar, considering much of his financing comes from The American Family Association, a Southern Poverty Law Center-certified hate group. Indeed, the AFA’s noxious views were on full display this week, when the group’s star radio personality, Bryan Fischer, insulted African Americans. This racist rant was just as offensive as his February fusillade over Native Americans, which he declared, “morally disqualified” as custodians of North America. It is unnerving that in order to win the nomination of one of America’s two major political parties, one must kowtow to kooks like Fischer. Instead of offering leadership by speaking out against such intolerance and withdrawing from Pastor Policy Briefings, Republicans will likely serve as apologists. In fact, this week Newt Gingrich defended the AFA after he was questioned about why he gave $125,000 to the group to help their efforts to defeat three Iowa judges who voted in favor of marriage equality. 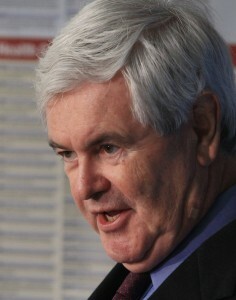 “You bring a series of allegations that I can’t check about a group that is largely a Christian based membership group, that is fairly widespread in its membership and I suspect most of those people do not in any way think of themselves as a hate group even if that’s how you would characterize them,” Gingrich said to Think Progress’ Igor Volsky. While most rank and file Republicans do not support AFA-style hate, it is fair to say that the Republican Party is captive to such groups and that the most fanatical wing of the party has veto power over prospective presidential nominees. The result is a race to the fringe in Iowa that threatens to debase the presidential debate and bring the tenor of speech to its lowest common denominator. The more the extreme right opens its mouth, the wiser former Christian Coalition leader Ralph Reed looks for pioneering a stealth strategy back in the 1990’s. The reason these smiling zealots often talk softly is because they are concealing a big stick – in which to smack down America’s future.